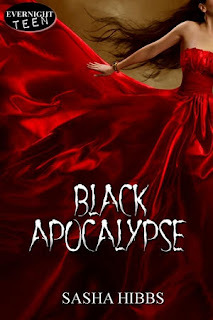 Top Ten List featuring Black Apocalypse (the Vulcan Legacies #4) by Sasha Hibbs w/a GC giveaway! eyes, Ally’s betrayal is absolute. But there is more than meets the eye when it comes to the man who killed Michael, and even more with the girl he thought he knew. 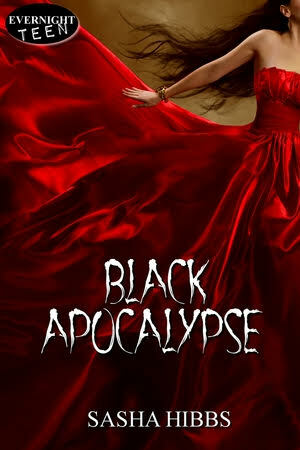 Black Apocalypse is a journey full of heartache and redemption where the past weaves an uncertain future. Can Michael forgive Ally for her betrayal? Can Ally finally embrace who she is destined to become to save them both? Who is the elusive Seraph, Laurel? Who was the Devourer before his colossal fall from grace? What decisions did they make together that altered the course of history? Shocking revelations, prophecies fulfilled, a war where not everyone will make it out alive…the final installment in the Vulcan Legacies will leave you breathless. The Seraph told him, told him what he must do. In his broken mind, the pieces lay jagged and strewn, but he was putting them together, regaining the memories he’d lost through the blinding rage of his illusion. But Ally was real. He was holding her in his arms, and she came to him with trust, with patience, while he tried to regain the memories from his human life, ones that would guide him on the path he was supposed to be on now. But as he held her in his arms, she felt so fragile, so breakable. He could hear the soft thrumming of her heart. The beat was uneven, a rhythm that reminded him of the last remnants of life. Ally was dying. She was his soulmate and the beat of her heart gave him all the courage he needed. He wasn’t going to kill her. He was going to save her. Abaddon brought his wrist up to his mouth, extended his canines and pierced his flesh. As blood rushed up to the surface, he gazed into her eyes. He parted his lips, ready to speak, to tell her it would be okay, but was silenced by Ally resting a single finger against his lips. “I’ve waited such a long time for you,” he said. He softly caressed her lips with his, savoring the feel of her against him, the kiss he’d waited a lifetime and beyond for. He raised his gaze back to hers, brushing a wisp of hair away from her eyes, cupping her face. “A lifetime,” he said, as he brushed soft kisses along her temple, her cheek, her jawline, back to her trembling lips. Thinking back to that night long ago, he lived the words of that song, held nothing back for what he felt for her. arched her back, pressed up against him, encouraged him to drink from her, to take her to where he’d been. Hi and thanks so much for having me! First, my series is a YA Paranormal series with a nice helping of romance. 1.) I wrote the books before ever traveling to the locations I wrote about. Risky, but traveling costs money. The nice thing about today’s technology is we can google just about anything! 2.) It’s a 4 book series. Originally I intended this to be a trilogy, but the characters grew beyond me and I had to write an additional book. 3.) The original villain in the series, pleaded to me, and feeling sorry for him, I turned his life around and made him the good guy. Funny how things turn out so different from what we originally intended. 4.) The finished product on book 1, Black Amaranth, came in at around 230 pages. Originally it was 300 pages long. So, there were some serious scenes cut from the series. 5.) My series has a strong religious undertone. My publisher asked that I take some of that out. See # 4. That’s where the machete came in. 7.) I named one of my secondary characters after a beta-reader. And in terms of other influences on names, my main character Ally Watson… the ‘Watson’ part hails from my husband’s side of the family. Also, ‘Ravenscraft’ and ‘Belle Crow’ are all influenced from my husband. 8.) Developing a series entails creating a load of characters. While I love them all, the main character isn’t actually my favorite. It’s a toss-up between two other secondary characters… Brandi Frasier and Abraham Rathbone. 9.) I originally named my main character, Ally Waston, Elena. After is seemed that ‘Elena’ popped up everywhere, I decided to change her name to Ally. going back to Tara to win the love of her life back. Fortunately, he stuck with her. it wasn’t long until the world of her debut novel, Black Amaranth, was born. Next postBlitz for Black Apocalypse (The Vulcan Legacies #4) by Sasha Hibbs w/a rafflecopter giveaway!